The key to developing character, the Internet told everyone, was hard work, truth, and faithfulness. Everyone believed she or he already worked hard. Every week, right on time, everyone delivered an entry to the blog. This was in addition to working two jobs, one as an archivist for the Dasney family of amusement park malls and the other as the weekend custodian of random office buildings. Everyone told the Internet everything, including all the things she or he archived, and it was the Internet who had set everyone up with the janitorial job and the blog, so the implication that everyone was not working hard yanked at everyone with the force of a high-pressure vacuum cleaner unfairly aimed at her or his newly laundered underwear. The Internet had not meant to be insulting. It had no strong feelings on this matter and had merely been stating an opinion. It elaborated: To forge strong character, you might have to do something several times. Strong character didn’t simply emerge wholesale from the end of a pen. It wasn’t a set of random words. Everything--every action--had to fall in line with those words. Strong character involved consistency, of the kind that everyone showed in posting to her or his blog every Sunday. The last statement was a bone the Internet threw out to make everyone feel better. The Internet knew that the statement was not without problems. You could blog every day, but if your content was crappy, you still weren’t going to forge much in the way of character. You might even forge bad habits that would be more forcefully engrained than whatever habits the more occasional or haphazard blogger might build. Everyone took the bone, however, and moved her or his contention on to truth. “What is truth?” everyone asked, mimicking the words of Christ, though she or he didn’t know they belonged to the Savior. Everyone assumed the question belonged to her or his former coworker (Dasney) and boss (custodian) Harvey, who had quoted it one day in reference to everyone’s allusion to a survey posted in a television commercial about preferred bleaching products. Harvey himself had gleaned the question from the Internet, with whom he often discussed theology. The Internet shared with Harvey Christian movies, of which Matthew: The Real Story had been one recently on Harvey’s mind. Neither Harvey nor the Internet drank, which made them close friends. This is not to say that the Internet was opposed to drinking per se--it would happily suggest drinks to anyone who asked. The Internet was a pleaser and tried to satisfy anyone it came in contact with, which is often how the Internet ended up peeving people off. In this case, the Internet did so by suggesting that truth is beauty, ala Matthew Arnold among others. Everyone didn’t buy it. The Internet was a materialist, everyone realized, which made her or him uncomfortable. Everyone had assumed the Internet was a latent spiritualist, ethereal and ascetic as it often seemed, since everyone had never seen the Internet eat or drink. “What about faithfulness?” everyone asked the Internet? “Ample Bs is really good,” the Internet warned. “These prices aren’t going to last. Everyone thought about Ample Bs. The Internet had a point. But faithfulness--wasn’t that the point? To work hard, stay faithful to the task at hand, be consistent. That a drink was half price across town was no reason to quit now. 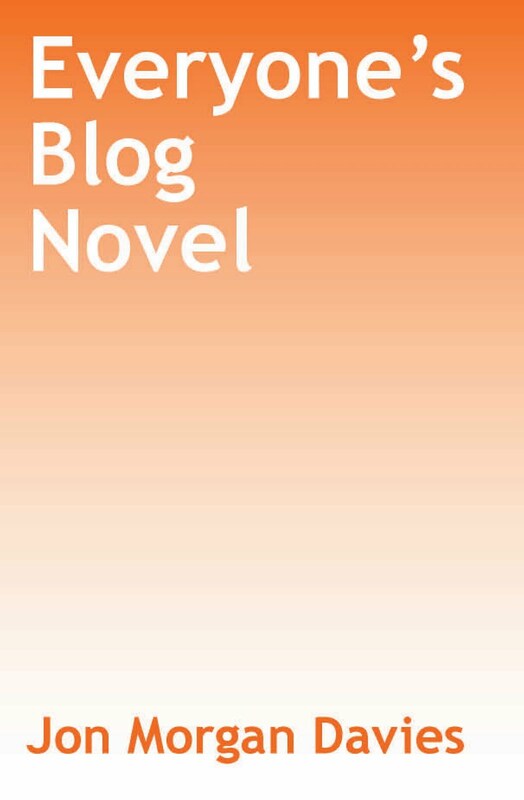 Everyone was blogging a novel, and everyone had to stick to it. That was how one forged character.